No more clicking through countless screens and complex menus of the EMR to accomplish the simplest of tasks. Instead talk to Mili in your natural language just like you are talking to a human assistant and she will record, retrieve and analyze patient data for you instantly for smarter clinical decisions. Mili can perform wide range of tasks starting from recording data in a patient record like flu shot that was administered to retrieving patient data like the latest x-ray to analyzing data like patient’s weight gain. And Mili continues to learn to perform more tasks. 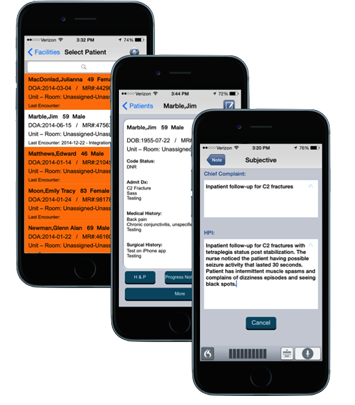 Quickly locate, add, review, edit and update patient charts in Office EHRs without leaving the MDLog app. Dictate clinical notes such as History & Physical, Progress notes and Discharge summaries to be instantly transcribed into Office EHRs, facilitating better and faster care for more patients. 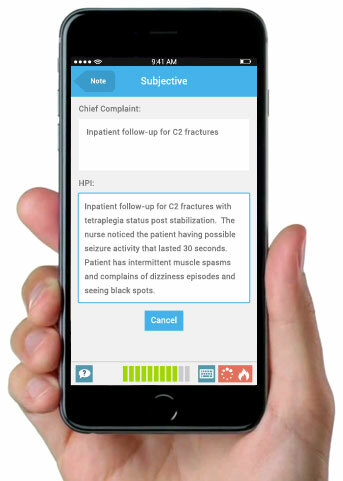 Join today’s most efficient clinicians who document over 20 clinical notes daily in real-time, have more face time with patients, create better outcomes and save thousands of dollars monthly by eliminating Scribe, Transcription and other manual services. MDLog automatically synchronizes patient records from Allscripts EHRs that are assigned to the physician for the day. MDLog’s bi-directional sync process ensures records updated within the app are updated within Allscripts EHRs, keeping physicians focused on providing quality healthcare with zero burden on IT. Even the largest providers can be using MDLog quickly with no term contracts and no risk. With little more than online registering and downloading the app, you can be running literally within minutes. It’s so simple, if you can use email, you can get started with MDLog. 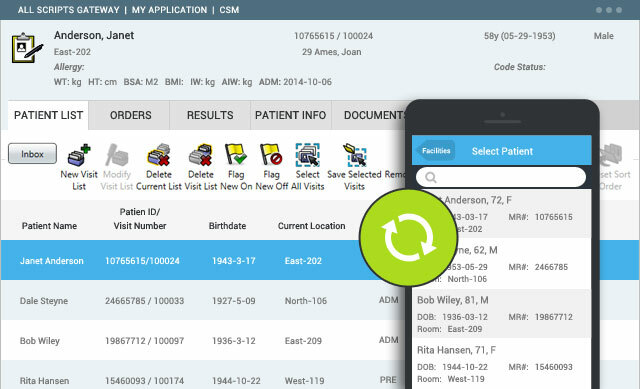 MDLog quickly and easily establishes a seamless integration with Office EHRs within minutes. 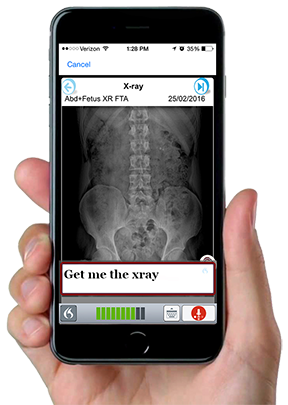 With MDLog, there’s no complicated backend system, nor a need for IT – only easy, straightforward access to Office EHRs from the convenience of an iPhone or iPad.